Galen Cerebella™ is the complete medical office management software designed to give you a more efficient, streamlined and profitable medical practice. 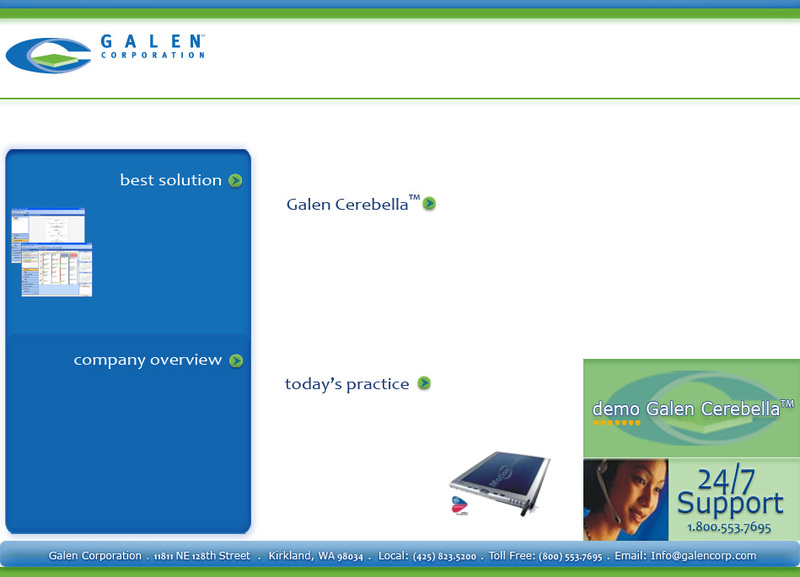 Galen Cerebella™ will turn your practice into a paperless office and help you automate tasks that consume your day. It’s easy to use, it’s easy to set up, and it’s easy to convert to and with its granvular security. Only the people you designate can view sensitive information. Galen Corporation is located in Kirkland, WA. We are committed to delivering the latest technology in one convenient installation. Never be tied down to your desk again! to use, easy to learn and easy to convert to. Make it your simple solution!